Dark-Readers: Rivers of London Read-A-Long Announcement + GIVEAWAY!!! 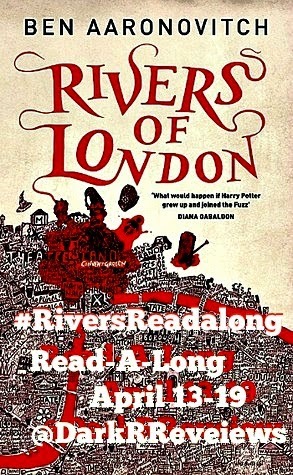 Rivers of London Read-A-Long Announcement + GIVEAWAY!!! 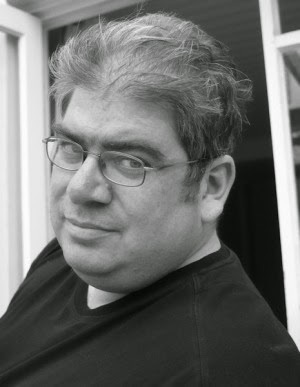 Cityread London promotes the key ideas of reading for pleasure, engaging new library users, enhancing the experience of existing readers, and encouraging people to explore and celebrate London’s culture, landscape and history. Cityread London represents culture for all, with all London library services developing a programme of reading, activities and events using a variety of formats including ebooks, audiobooks, large print, and in translation where possible, aimed at encouraging readers at all levels. This is a great project, as libraries have been so important to me, and I'm sure an import part of all your lives too! And they've picked on of my favourite books this year and have got some exciting events in aid of it (see below)! Rivers of London follows detective PC Grant, who finds out, whilst trying to take a statement off a man, who later turns out to be a ghost one night, that his skills are more...extraordinary. Now he's the first trainee Wizard in fifty years and the spirit of riot and rebellion has awakened in the city, and it's falling to me to bring order out of chaos - or die trying. Rivers of London – a hidden chapter an interactive experience. Ever wondered how London Met fends off supernatural criminals in the capital? Or if ghosts were real? If rivers could talk what would they say? Know the difference between a cold breeze and when all the heat has been sucked from a room by a vampire? Come to the official training centre for new recruits to see if you have what it takes. Interactive theatre company Look Left Look Right are adapting Ben Aaranovitch's Rivers of London into an immersive participatory experience.